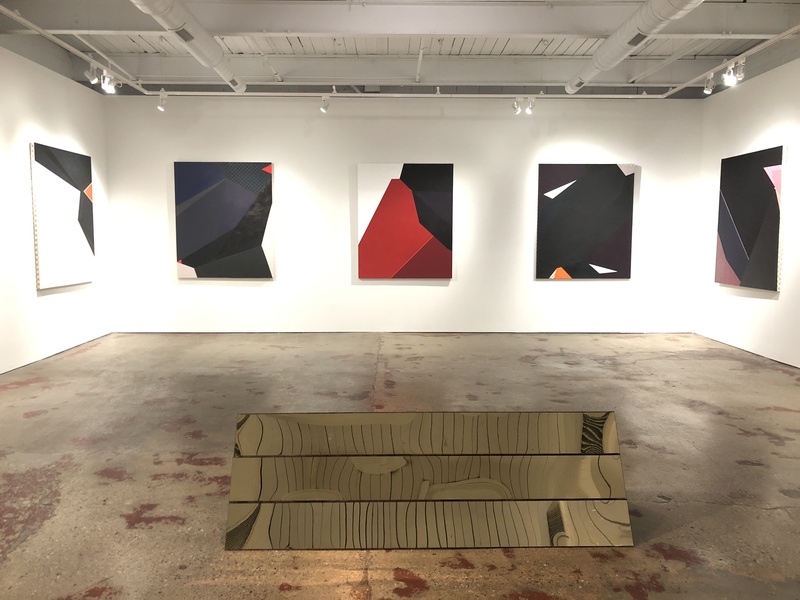 In her solo exhibition Under Influence at Tube Factory Artspace in Indianapolis, Audrey Barcio explored these questions in a new series of paintings that examines where the heritage of Modernism intersects with the tools of the Virtual Industrial Age. Her starting point for this body of work is the iconic grey and white checkerboard pattern recognized by contemporary digital designers as a symbol for emptiness waiting to be filled. Transforming that virtual nothingness into concrete form, Barcio employs it to empower interpretations of the iconographic legacy of our Modernist forbearers. Under Influence spoke to something ancestral, universal, infinite, and essential. It is a conversation arising not from coteries but from the unifying elements of a common world: shape, color, line, form, material, surface, and the infinite potentialities that arise from relationships.